Winter means more time indoors in order to stay cozy and warm and not be buried in tons of snow. As you get the family together for movie night or an evening homework session, you want to feel confident that the air in your home is pure and clean. Furnace not working? Looking for a heating professional you can trust? Visit our eco-friendly HVAC friends today! It is crucial that you discover ways on how to prevent the indoor air from making your family sick this winter or any season for that matter due to dry air or the likes of carbon monoxide and other volatile organic compounds (VOCs). Carbon monoxide is proven to be a pressing problem all year round due to the threats it imposes in or health but it is way too dangerous during winter. Gas stovetops and furnaces produce carbon monoxide and release it into the air we breathe which in turn may harm us. Even small amounts of harmful gases such as carbon monoxide may already be a big threat to our health so you should not risk it or disregard it as something that’s petty or unimportant. When in fear that your area might be contaminated with carbon monoxide, it is best to contact experts. As the seasons change, this change often brings dry, dusty air that can aggravate health issues. If it seems like the dry air in your home is causing your sinuses to dry out or your winter colds to worsen, you aren’t imagining things. Dry air leads to dehydrated sinuses, which makes you more susceptible to getting colds or the flu. One thing you can do is to stay hydrated by drinking more water. Moisturizing your skin and taking steps in order to increase the humidity levels of the building may also help in attaining the kind of comfort you desire. As you spend more time indoors, you’re liable to inhale more airborne particles like VOCs. A wide range of household items, such as carpet, furniture, and cleaning products, release these harmful chemicals into the air. You can lower your VOC exposure by eliminating harsh chemicals and certain types of adhesives from your home, but you can also do much more. Invest in an air cleaner that removes these microscopic particles from your home, and you’ll breathe much easier. The holiday season is one of the most sought-after event every year. It is a fun and festive time but sadly, its coming also means the occurrence of more expenses. You can manage your spending each year by cutting down your energy consumption and use smart strategies to cut down your consumptions. 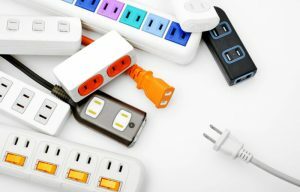 The holidays bring all manner of exciting electrical items with them, from big blow-up characters in the yard to miniature Christmas villages that move and have lights or use electricity. Whether you’re simply lighting your tree, or setting the whole house aglow, you’re sure to use extra energy this season which means you are about to expect higher electricity bills. One thing you can do is to minimize the drain by plugging all these items into power strips. When they’re not in use, turn off the entire strip thus ensuring that no electricity is wasted when we’re away. Otherwise, your electronics will slowly drain power even when they’re off, creating an added strain on your utility bills. If you’re not mindful of your windows, they may let cool air seep in during the winter, reducing the energy efficiency of your heating system. Check around the window frame for cracks you can seal with caulk. Use weather stripping along the bottom of the window to keep cool air out. You can further enhance your energy efficiency by using a low-e coating on the windows. Make these upgrades now and you can stay cozy over the holidays for less.